Alliance University is located in Bangalore, Karnataka state and it is considered to be a private university which is known and recognized by the UGC (University Grants Commission) in New Delhi.AUEET is conducted to offer admission in engineering courses. Entry into management, law, and commerce fields are also offered through entrance test organized by the University. 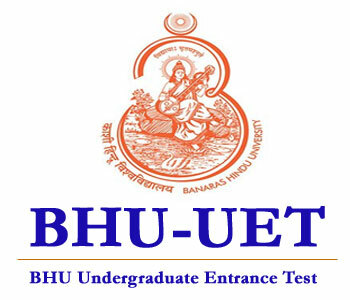 Candidates have to qualify the entrance test to be eligible for admission into the university and its affiliated colleges. This university offers various UG, PG & Doctoral courses along with some professional certificate courses also. The application process is same for all the courses which are offered by the Alliance University. AUEET 2020 Application form will be available in both offline & online mode. For offline mode, candidates will be able to purchase it from the Admission Office of Alliance University. The application process for the MBA course will get started by the third week of September 2019. Candidates must provide working/ valid Email Id & contact number to get login credentials for future login. The application form for the Alliance University B. Tech Regular & B. Tech Lateral or Evening courses will be available Online & Offline as well. The online application will be available from the official website of the Alliance University. The offline application will be available from the admission office of the Alliance University. The applicants have to pay the application fee of Rs 1000/– in cash to purchase the form. The applicants can also pay the application fee through DD which should in favor of ‘Alliance University College of Engineering’ payable at Bengaluru. NRI & SAARC candidates have to pay Rs. 2000 & foreign candidates will have to pay the US $50 as a fee. Mode of Payment: Candidates will be able to pay application fee through online as well as offline mode. For online mode, candidates can pay the fee through debit/credit card or net banking method. Through offline mode, candidates will be able to pay the fee in cash or through Demand Draft “DD” in favour of “Alliance University,” payable at Bengaluru. 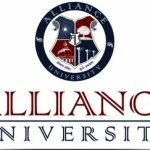 Alliance University 2020 Admission Procedure will start in September 2020. Interested candidates have to fill the application form and appear for the entrance test conducted by University. Candidates will be able to apply through both online & offline mode. To get admission in B.Tech, candidates will have to appear in AUEET entrance exam. For admission in BBA, candidates will have to appear in the AUMAT entrance exam. For admission in MBA, candidates need to appear in AMAT entrance examination conducted by University. Apart from the university level entrance test, candidates can also apply for admission in the MBA programme through the valid scorecard of GMAT, CAT, XAT, MAT, ATMA, NMAT, CMAT, or AMAC. Selection: JEE (Main), JEE (Advanced), Karnataka CET, COMED-K, AUEET, any State-level EEE scores, followed by PI round. Selection: PI (Personal Interview) round. Note: Application fee for NRI & SAARC applicants is Rs 2000/- & Foreign applicants it is $50. Fields: Marketing Management, Financial Management, International Business Management, Human resource management. Eligibility Criteria: Should have done Pre-University, Higher secondary or HSC from a known board or university. Selection: AUMAT (Alliance UG Management Aptitude Test), followed by PI round. Fields: Business Law, Intellectual property Law, International Law, Criminal law, Constitutional Law. Eligibility Criteria: HSC Pass from known university, General category 45% marks in total, ST & SC category 40% marks in total. Selection: CLAT (Common Law Admission Test), LSAT (Law School Admission Test), ACLAT (Alliance Common Law Admission Test), followed by PI round. The applicants will get 2 hours to solve the complete paper. The question paper will be having only MCQ type questions. A total number of questions in the paper will be 200. Fields: Marketing, Finance, Organizational Leadership & Strategy, Operations, Retail, Finance & Management, Hospitality, Entrepreneurship & Family Business, International Business Communications. Eligibility Criteria: Should hold a Bachelor’s Degree from a known university, General category 50% marks in total, ST & SC category 45% marks in aggregate. Selection: GMAT, CAT, MAT, XAT, ATMA, NMAT by GMAC or CMAT & AMAT followed by the GD & PI. The applicants will get 1 hour to solve the complete paper. The question paper will have only MCQ type questions. A total number of questions in the paper will be 65 only. Fields: Financial Management, Banking Insurance & Financial Services, Accounting & Taxation. 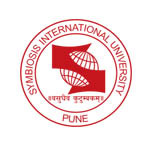 Eligibility Criteria: Should hold a Bachelor’s Degree (B. Com, BBM, BBA) from a known university, General category 45% marks in total, ST & SC category 40% marks in total. Selection: Based on the entrance exam from the university. Eligibility Criteria: Should hold an LL. B or B. L Degree or any other graduate degree from a known university or recognized by the Bar Council of India should have achieved 45% marks in total. Fields: Marketing, Finance, Organization, Leadership, Human Resource, and System & Operations. Eligibility Criteria: Should hold a Master’s Degree from any stream, General category 60% marks in total, ST & SC category 50% marks in total. Two years of work experience from the management stream. Eligibility Criteria: Should hold a master’s Degree in LL. M from any stream, General category 55% marks in total, ST & SC category 50% marks in aggregate. Alliance University 2020 Entrance Exam will be held separately for Engineering and Management Courses. These entrance exams will be conducted through offline mode on different dates. 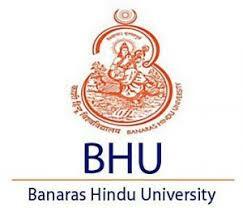 University will conduct AUEET for admissions in B.Tech, AUMAT for BBA, and AMAT for admission in MBA. The entrance test will be done in the month of May 2020. For admission into law courses, the university will conduct the ACLAT entrance test. By entrance test scores or national level scores, University will prepare the Alliance University 2020 Merit List. Merit list will be prepared and published online a few days after the completion of the entrance test. Separate merit list will be prepared for every program. Short-listed candidates will have to appear for further counseling & admission rounds. All further rounds will be organized by the rank secured by the candidates in the merit list. The shortlisted candidates will receive a separate letter of appeal to attend the consultation. The counseling schedule will be posted on the university’s website after the results are reported. At the time of counseling, candidates must verify their original documents and complete the course and university preference. Candidates will be assigned places at the time of the council in the place of the committee. Those who will be selected for the board must pay the counseling fee. If a candidate does not arrive at the place of the council on a specific date and time, his request will be canceled. These candidates cannot perform other admission activities. The university will provide final admission to the candidates after performing the written essay, the oral presentation of Extempore and the personal interview. By merit, candidates will be called for the PI and the other rounds. Applicants must necessarily appear in the admission selection process to be eligible for final admission. The final selection of the candidates will be based on the general performance of the candidates in the admission selection process (ASP).If the candidate is selected for admission, he must present the original documents to the admission authority, as well as the admission fee.Alliance University 2020 Admission will be done on qualifying various stages – Entrance examination, Merit list, Personal Interview (PI) or Seat allotment. By the Merit List, candidates will get a call for Interview rounds. The final admission to candidates will provide after conducting of Essay Writing, Presentation, and PI. Candidates will get final admission into the University after qualifying all rounds, making fee payment & verifying all the documents. It will be mandatory to attend all rounds & fulfill all formalities for the admission. National Exam Score card, etc. If you have any other queries about Alliance University 2020, you can write your questions in the comment box given below.